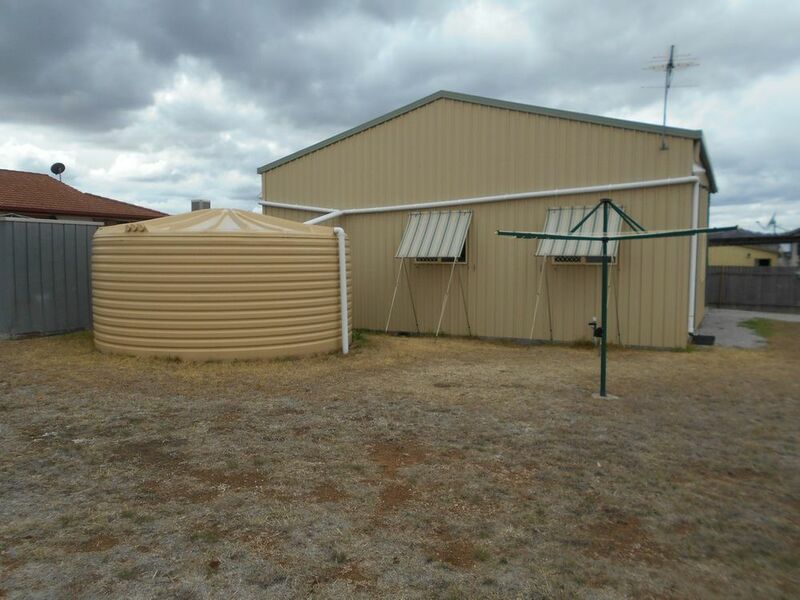 This is the ideal property for the travelling couple with a caravan or camper van. 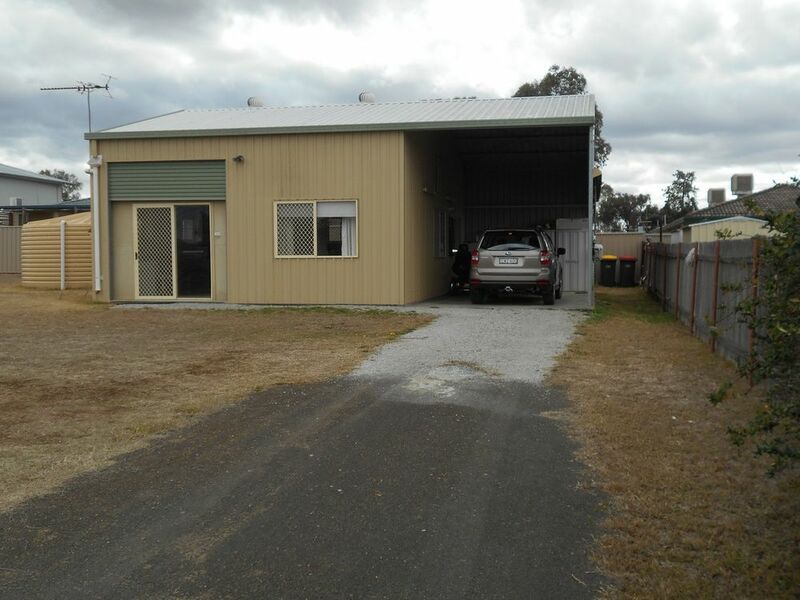 This is a Ranbuilt insulated shed (council approved) that has been converted into large style granny flat. Everything you want: bedroom with built-ins, lounge, kitchen that opens to the dining area. 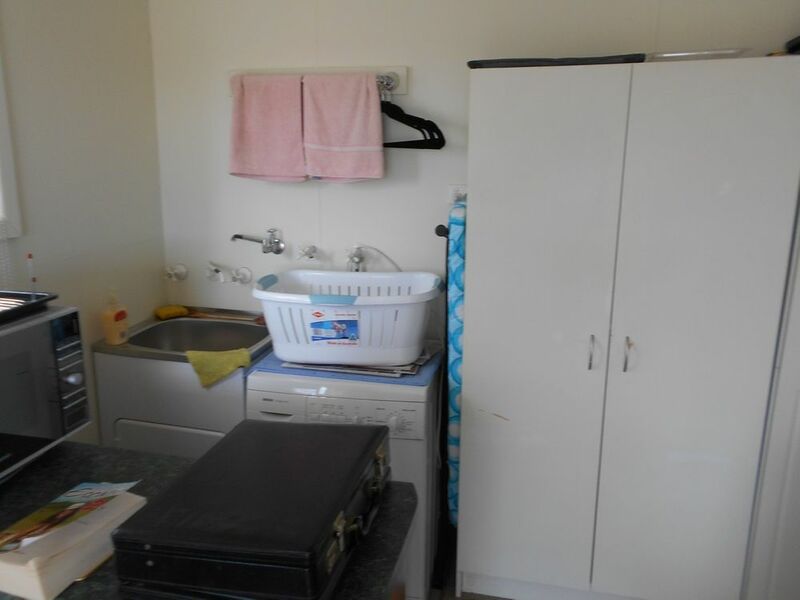 Bathroom, toilet and laundry all in the plan. Fans throughout and a split system A/C to keep on top of the temperature. The ceilings inside the flat are 2.4m, with plenty more storage above that. 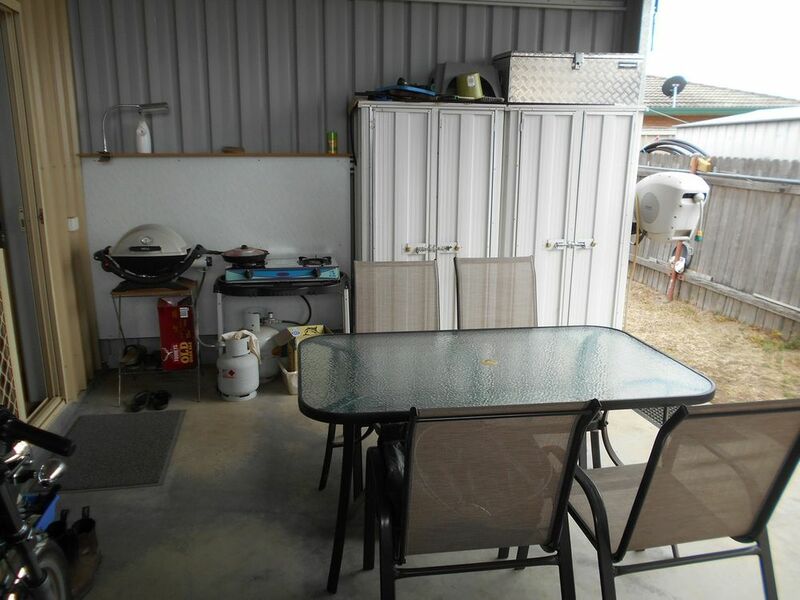 The shed has a garage area on the eastern side, where there is a BBQ area, lock up storage and adjustable blinds for the weather. 22,500 Lt poly tank and gas hot water. The large block also lends itself to building a house at the front section of the block. There is very little maintenance for this block when travelling.